This month there is good news and bad news. I will start with the good news. 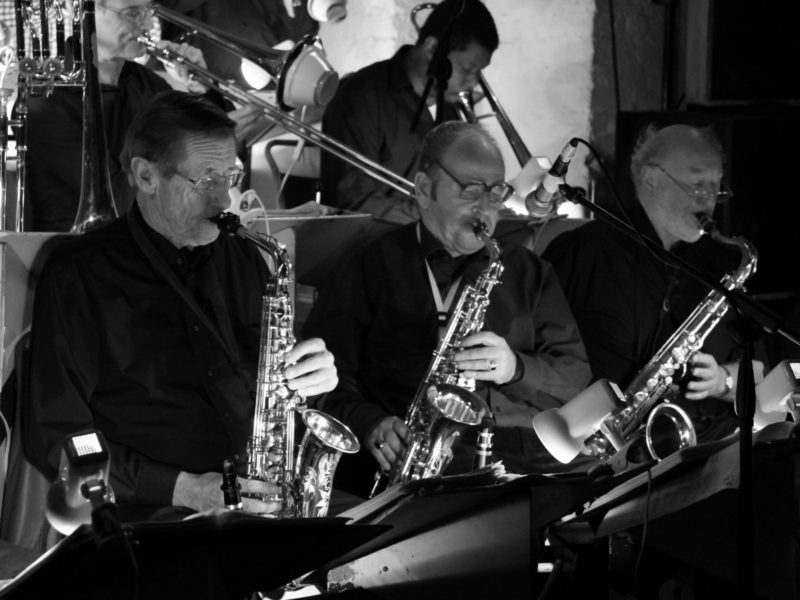 A newcomer, mentioned last month, has joined the Sussex big band scene. 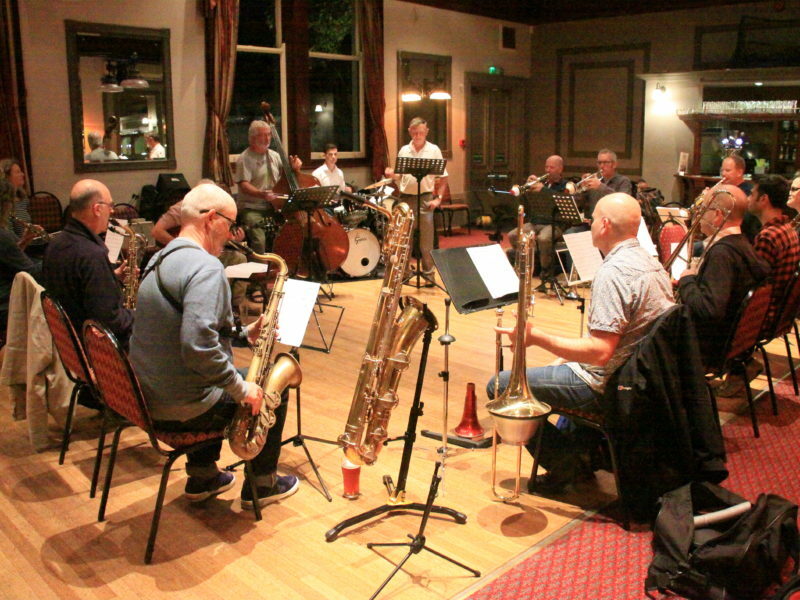 Here is a profile of Happy Days Big Band in the words of its founder, Chris Merryfield-Day. “I started playing the saxophone in 2010 and joined a town band with my wife and daughter. However, a good friend, Ron Green, soon introduced me to jazz and the big band scene. This style of music, and band set up, soon became my main interest and love. “I was asked to run and conduct a youth band in 2015. The youngsters soon took to the upbeat tunes from this style of music, playing tunes such as Birdland, Mr Magic, Autumn Leaves, In The Midnight Hour etc., but including tunes from Stevie Wonder, Pharrell Williams, Bruno Mars. “By 2018 we had played at various locations/events and held our own style concert evening. The young players are very talented, all have worked their way to between Grade 5 to 8; young Taras Pranskus, on drums, has also reached the final of ‘Drummer of the Year’ competition, due to his hard work and commitment. 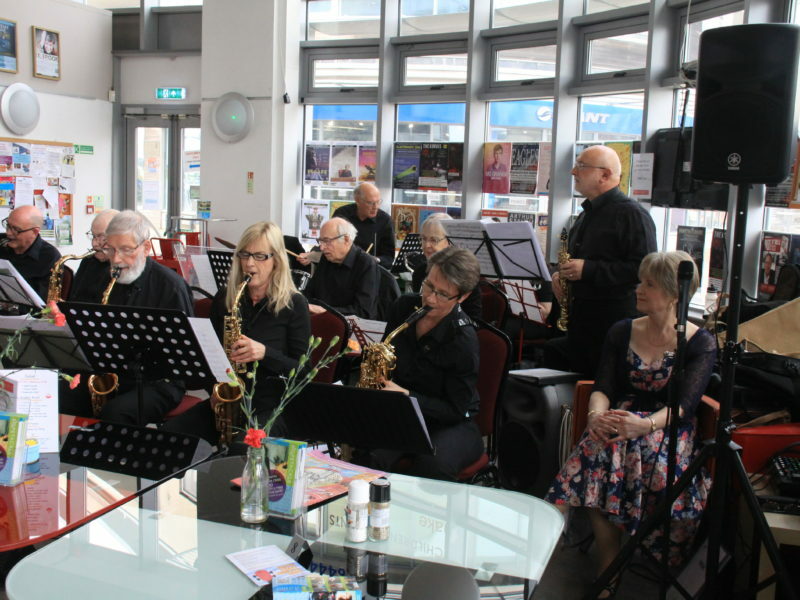 “After being approached by many adults wishing to join in on the fun, in September 2018, Happy Days Big Band was formed. We rehearse in The Old School in Storrington on the 2nd and 4th Wednesdays of the month, 7pm – 9pm. “The band consists of youth and adult members, playing traditional Big Band tunes as well as funk and modern arrangements to attract all ages of players and listeners. “We consider ourselves a warm and friendly group and play for the pure joy of it. The band already has half a dozen gigs lined up for this year, with the possibility of an open rehearsal from time to time. Details will be published in the listings at the appropriate time. Now for the bad news. The Seaford Rock And Jazz Orchestra is now inactive. It was primarily a youth band. Its remaining members have all moved on to higher education, and for the first time there are no school age students available to replace them. I don’t know if it is because of the austerity measures imposed on local authorities by our democratically elected government carrying out the will of the people, meaning huge reductions in music education in East Sussex schools. Or maybe, the imposition of more demanding GCSE exams, again by said democratically elected government, resulting in students having to concentrate on their core subject studies, rather than expanding their cultural horizons. Perhaps things will improve after Brexit. Or perhaps not. Meanwhile more good news. When depping with various bands I have come across arrangements by Dr. Bone. These are always clear to read and a pleasure to play. They sound great and they swing. I can reveal they are the work of Paul Hyde of the Johnny Spice Swing Orchestra, and are to be made available to other bands. Next month: Another band profile, and more news about big bands based in, or appearing in, the county. If you would like your band featured, and I have not already contacted you, please get in touch. Anything else, such as gig news, or feedback on this column, that you would like me to include in April’s Big Band Scene, please send it to me by Thursday 14th March (Brexit -15th). My email address is g8aac@yahoo.co.uk. Big band gigs can now be found in the main listings section.